The ship will be anchored and you will be tendered close to town. 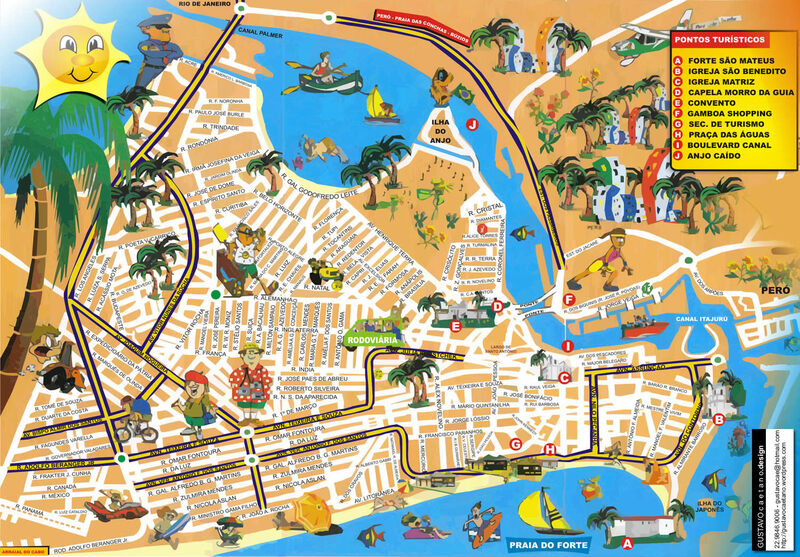 Cabo Frio, locally known as "Cidade do Agito", is located 93 miles (150 km) northeast of Rio de Janeiro. This city is popular due to its beautiful soft white sandy beaches and extravagant entertainment. The beaches are great for swimming, surfing, and diving. The most famous beach in Cabo Frio is Forte Beach, where the fortress of Saint Mathews (free entrance) was built in 1620. Stretching 7.5 kilometers, the beach is located in the heart of the rather ugly town near many bars and restaurants. Head all the way to the left end to explore the fort and get a panoramic view you won't forget.